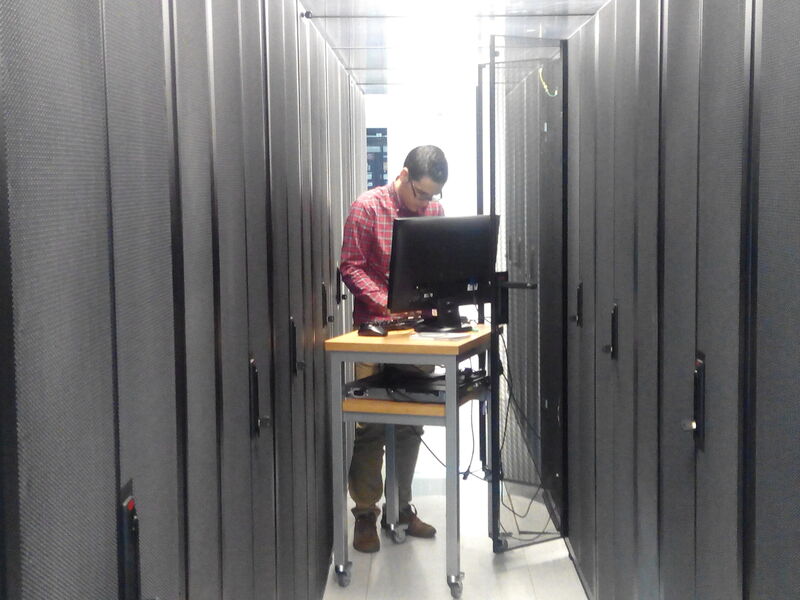 rCUDA was successfully installed in one of the clusters that University of Almeria owns. The SLURM patch developed by the rCUDA team, which enables the use of remote GPUs, was also installed. This week rCUDA has been present in three different forums: (1) a tutorial entitled "On the use of remote GPU virtualization for managing the GPUs of your cluster in a flexible way" and a poster with title "Boosting the Performance of Remote GPU Virtualization Using InfiniBand Connect-IB and PCIe 3.0" were presented at the IEEE Cluster 2014 conference. (2) A talk entitled "Increasing the throughput of your GPU-enabled cluster with rCUDA" was given at the HPC Advisory Spain Conference 2014, slides and video. (3) Finally, a talk entitled "Extending SLURM with Support for Remote GPU Virtualization" was given at the Slurm User Group Meeting 2014. See rCUDA in action at ISC'14! Two different videos were recorded during the ISC'14 show at Leipzig, Germany, last week. The first one shows the presentation of rCUDA at the HPC Advisory Council European Conference 2014 on June 22nd. In the second one, the rCUDA live demos are briefly introduced at the Mellanox booth. The rCUDA technology has been presented at #ISC14. On the one hand, a talk titled "Increasing the efficiency of your GPU-enabled cluster with rCUDA" was given by Federico Silla at the HPC Advisory Council European Conference 2014, on June 22nd. 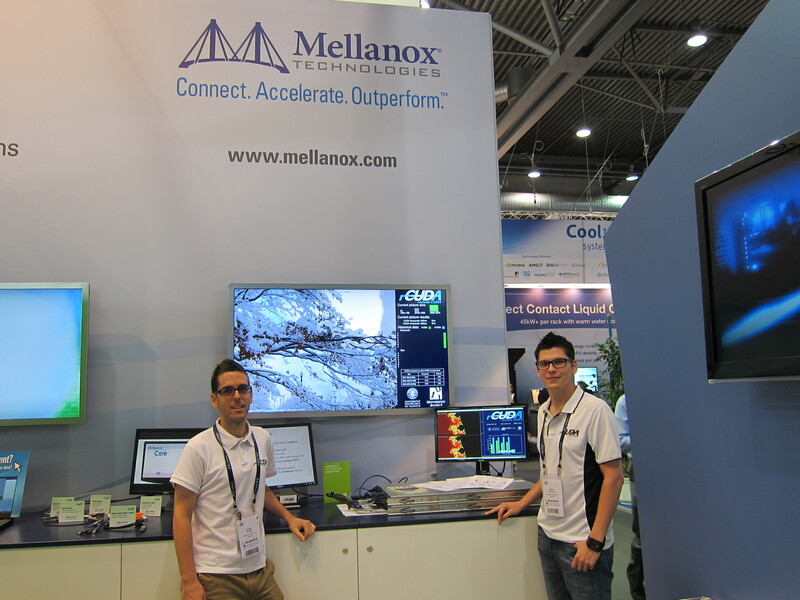 On the other hand, two different live demos comparing the performance of CUDA and rCUDA on real time were concurrently running at the Mellanox Technologies booth. The rCUDA team is glad to announce that its last research results were presented at the Fourth ENERGY Conference celebrated in Chamonix (France). The presented paper, titled "On the Use of Remote GPUs and Low-Power Processors for the Acceleration of Scientific Applications", showed the possibilities that remote GPU virtualization technologies offer when used with low-power processors. The paper was awarded with the Best Paper Award. We will show the rCUDA technology at ISC'14 next week, including a new live demo comparing the performance of CUDA and rCUDA on real time. If you are at ISC'14, please feel free to visit us.